About a year ago, my 6 year old M570 would occasionally not register a left click. A week later, it would sometimes work fine, or make me dump files all over the place/plain not work. Ok, its getting older, so I buy a new one, taking the old guy back to my house. I've used it with my home notebook since, dealing with the crappy left button. According to it, I have a 75 gram, 10 million "presses" version. Well, I don't think I clicked it ten million times, but who knows. I opened the switch and really couldn't photo it well. I don't have my good camera, like always. The switch plate had simply snapped off the mount that is bent to form the pin. It was floating in place, making erratic connections. Out comes a cheapo Logitech mouse I had laying around.. Not used much, but a wired mouse that probably retails for $10 or so. Taking the case off reveals a Kailh LE10JA. Hmm.. Looks identical to the Omron. Right pin spacing/size, same looking mold even. I didn't take a picture, simply because it looks like a knock off. I did try and find data on the switch, but didn't find any. I did not look hard though. Snatched the right switch, swapped them out and now I have a perfectly working mouse. The "new" switch is waaaay heavier than the original right side Omron, but its not too bad. I'm sure it will wear. I also might just go ahead and change the right switch as well. All mouse I guess use a knock off parts specially if it's ordered by bulk, they don't intended to build a perfect mouse that are storm prof (lol) they want us to buy it again and again so they earn. But we always have choice to buy OR repair it, me personally I just repair if there's a broken piece on my mouse like a problem on clicks & sensor. I'm on my third Logitech G602 after I keep sending them back for repairs. I'll keep doing it too, so long as I'm in warranty. Perhaps once I am out of warranty, I can try to fix it myself with better switches than what it used in the first place. twinrotor wrote: ↑ Well, I don't think I clicked it ten million times, but who knows. Simple resting your finger on the button causes wear on these switches, and anything over about 3 pounds of weight will damage them, slamming your finger or even dropping the mouse can exert enough pressure to damage these. 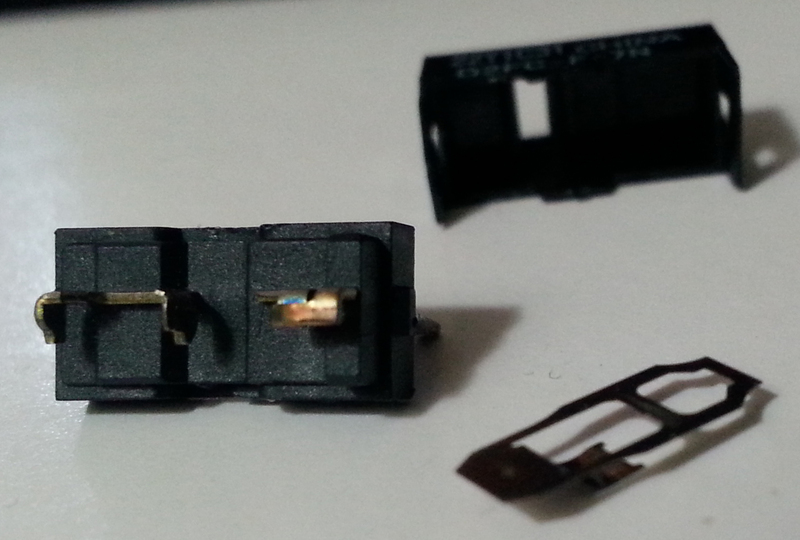 When I was researching that guide I came to the conclusion that these switches are not well suited for the purpose, surely by now someone could come up with a more durable spring. I think companies are just lazy about it. 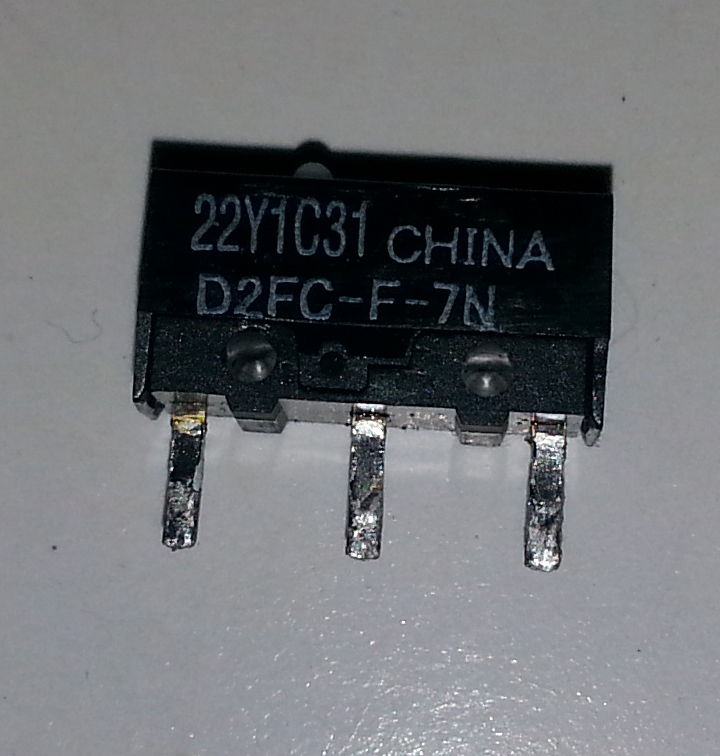 Something else to note, when you solder these in place, take as much care as possible to avoid heating them too much. Odds are you won't hurt them, I've soldered a ton of these, but much like the force numbers these are not designed to be heated much at all.